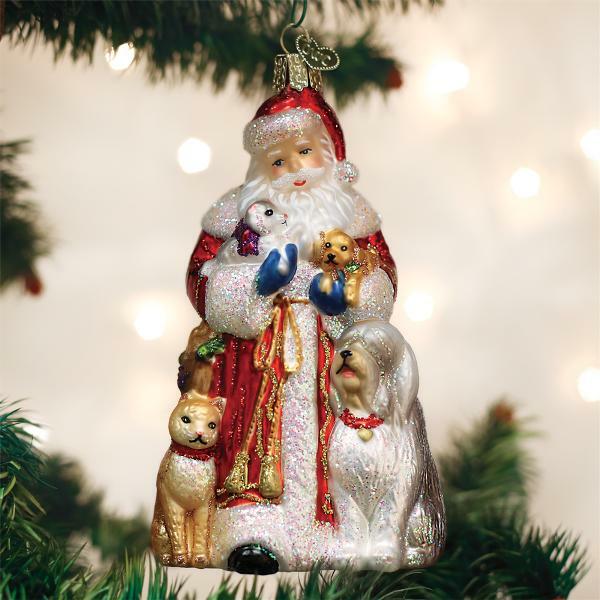 Old World Christmas Glass Ornament - "Santa's Furry Friends"
Home > Old World Christmas - Traditional Glass Christmas Ornaments > Old World Christmas Glass Ornament - "Santa's Furry Friends"
The legend of Santa Claus is derived from the European figure St. Nicholas and American writers who wrote children's poems in the 19th century. Santa Claus became the jolly man clad in red the folk hero all children dream about on Christmas Eve. Santa Claus embodies childhood innocence and magical delight.